Popular benchmarking software Antutu is the platform which gives the game away, and you can see the results at 2 mins 25 seconds into the video (embedded below). The benchmark also reveals an elongated 2960 x 1440 native resolution, 12.2MP single rear camera and dual 8.1MP front cameras, while confirming the RAM controversy. That said, it is the Pixel 3XL’s display which is set to dominate all future discussions of this phone. For context, a 6.7-inch screen will make the Pixel 3XL the largest mass-market smartphone ever made. The display is whole 0.7-inches bigger than the Pixel 2XL, 0.3-inches bigger than the newly launched Galaxy Note 9 (which is Samsung’s biggest ever mass-market phone), and it will be 0.2-inches bigger than Apple’s huge iPhone X Plus which launches in two months (details). All of which poses the question: has Google gone too far? 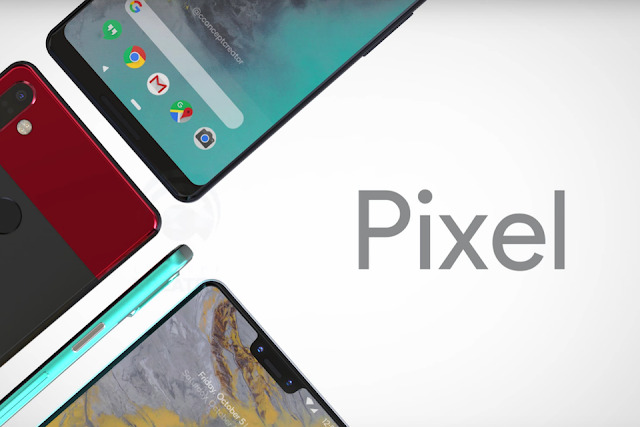 For the average user, I suspect the answer is 'Yes' and with the smaller Pixel 3 expected to be just 5.3-inches I fear Google has made a mistake ignoring the popular 5.5 to 6-inch bracket where both the iPhone X (5.8-inches) and Galaxy S9 (5.8-inches) sit. As such, while there is no doubt this leaked Pixel 3XL is the real deal (here’s why), my hope is Antutu has misread the phone’s hardware in publishing its results. This is rare, but it can happen. And what fires this hope is acclaimed industry insider Steve Hemmerstoffer (aka @onleaks) stated the Pixel 3XL would be a more manageable 6.2-inches last month. 0 Response to "Google Leak Reveals Massive Pixel 3"